A classic quiver shape is revitalized in a special construction package. Powder in the morning, crud in the afternoon, and carved groomed arcs down for après. The Foundation Yvette 112 combines the loose and ear-ly planing feel of a fully rockered ski with aggressive sidecut and slight camber underfoot. In the new Foundation regime, the Yvette gets a dramatically more responsive construction than past Hybrids. 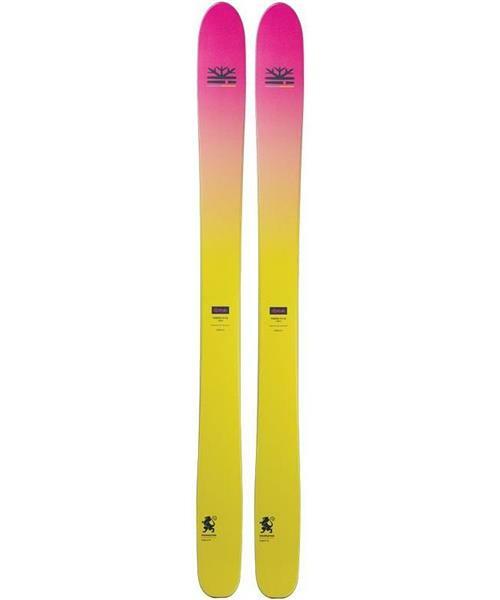 This perennial award-winning design is now damper, more responsive, and easier to ski than ever before. Yvette 112 - Foundation 2018-19 - Ladies is rated 4.0 out of 5 by 1. Rated 4 out of 5 by Coldhand from Great skis at a good price I am really enjoying my new DPS Yvette Foundation skis. I preferred the DPS Wailers I demo'ed over Christmas but the Yvettes were much more affordable and work well. I am so glad I upgraded my touring skis to the Yvettes!